"Yours Truly Jack the Ripper"
"Good Evening, This is Peter Lorre." 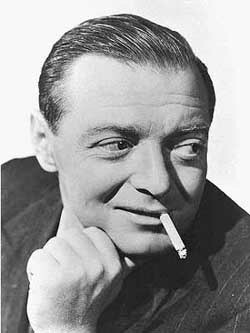 Mystery Playhouse began in 1944 hosted by Peter Lorre with his memorable accent. His tongue and cheek introductions about the "stwange and terwible" characters are part plot summary, and part philosophical about the human condition. This program featured Peter Lorre introducing some of the best mystery shows of the era for the AFRS audience. Many shows are favorite rebroadcasts of The Whistler, Mr. & Mrs. North, Inner Sanctum, Nero Wolfe, and more. Not to be confused with the radio series, Mystery House, Peter Lorre, himself, stars in many of the episodes. Be the first to comment on "Mystery Playhouse"